Stepping into leadership can be exciting! New leaders find themselves asking, “Will people follow me? Will they like me? Will I be able to accomplish anything? Followers are asking an opposite set of questions. They want to know, “Is this person trustworthy? Do I want to follow him/her? Do I like where they are going? 2. If you follow me, I will care about you. 3. If you follow me, I will take you where you cannot go on your own. Jesus made these same unspoken promises to the Christ-like leader. Without question, Christ has made my life better, cared for me incredibly, and taken me to where I could not have gone myself! May we lead like Him!! Christmas 2014 marks 100 years since the historic Christmas truce united, if just for a few days, warring German and British troops on the WWI battlefield. After months of fighting, the battle-weary soldiers agreed to lay down their weapons and cross “no man’s land” to exchange gifts, goods and soccer games with their enemies. 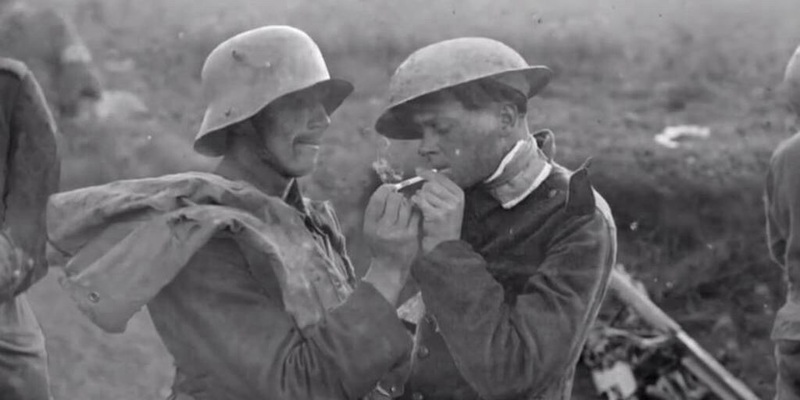 A German solider began singing “Silent Night” and soon soldiers on both sides of the Great War were singing! A truce lasted through Christmas and in some places carried through to the New Year. A row of small Christmas trees strung with lights lined the trenches, and the soldiers carried out the ceasefire Pope Benedict XV had asked world leaders to observe just weeks prior. The war would continue for another four years after the truce, claiming millions of lives and leaving millions more injured or missing. In our own era of war and unrest, however, the Christmas truce stands out as a reminder of human beings’ capacity to put aside differences, lay down arms and join together in a sacred moment, a moment that perhaps could last into eternity. Peace comes from knowing the Prince of Peace …. Jesus Christ!! Tim Tebow leading the SEC Nation broadcast team in a morning prayer. You can be a light anywhere!! 1. Protects your back when critics rise against you or your work. 2. Won’t back you into a corner by holding you accountable for unreasonable expectations. 3. Welcomes you back to gof favvor after you make a mistake. 4. Backs you up when you attempt to make a thoughtful decision. 5. Gives back to the team more than he or she takes form it. 6. Never stabs you in the back with others on the team or in the orgaanization. 7. Gets back to you when you need his or her input on a decision.